The past few years have seen a resurgence of nationalism and heavy-handed tactics on the part of Vladimir Putin and the Russian government, so much so that some suggest Putin has pushed the country back toward the days of the cold war. But despite international condemnation for the country’s behavior in Ukraine, there’s one thing at which Russia will always be great, and that is censorship. Well, censorship, and distorting history in comically hilarious ways. Thus, it makes perfect sense that Yahoo! News reports the country has banned the new Tom Hardy/Gary Oldman film Child 44 on the grounds that it distorts history, because that is something that only Russia itself gets to do within its own borders. 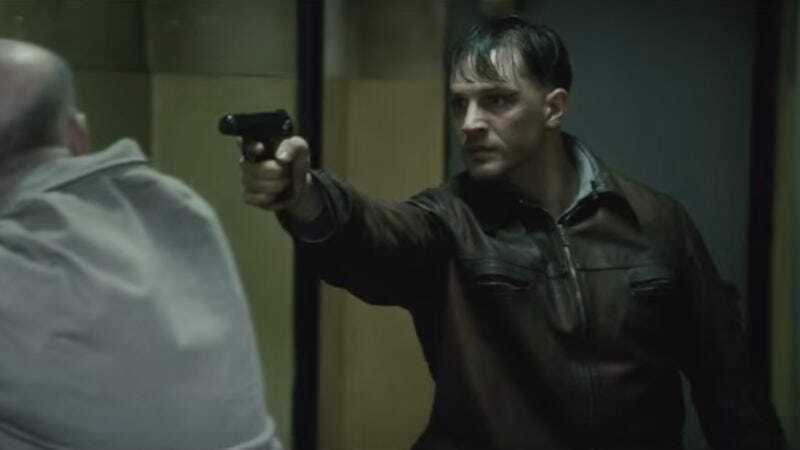 Child 44, a film written by Richard Price from Tom Rob Smith’s novel, is the story of a serial killer of children on the loose in post-World War II Russia, a year before Stalin’s death. (You can watch the trailer here.) Hardy plays the investigator whose work is stymied by efforts from government officials to pretend that such crimes didn’t occur in the Communist country. Russia’s Culture Minister Vladimir Medinsky defended pulling the film a day before it was scheduled to be released, saying, “Films such as Child 44 should not go out in our country on mass release, earning money from our cinema audiences,” perhaps suggesting the film should instead be copied by hand and distributed illegally, samizdat-style, the way things used to get done around there before all this silly freedom and liberalism talk started spreading. Perhaps the best comment comes from Pavel Stepanov, the head of Central Partnership, the film distributors who now find themselves unable to distribute their movie. Stepanov claimed, “We consider it’s important in the future to increase state control over distribution of films that have a socially significant context.” After all, who doesn’t want the state to have greater control over mass media? Besides, the statement is letter-perfect, displaying a knack for kowtowing to state propaganda that is probably wise, considering Stepanov would have cause to fear for his life (or at least his freedom) should he say the wrong thing. It’s also worth noting, in the spirit of Russia’s open-minded approach to cinema, that Academy Award-nominated Russian film Leviathan was condemned by Medinsky earlier this year, because of what he called its “existential hopelessness.” We’d say “Never change, Russia,” but the culture ministry seems well on its way to taking that advice to heart. UPDATE: Central Film Partnership has decided to appeal the ban on Child 44. There’s no word on whether they’re contemplating edits to the film in order to make it more palatable to Russian censors, but given how strongly Medinsky criticized the movie, it’s unlikely Child 44 would be distributed in Russia as is. Interestingly, it seems Lionsgate—who sold the film’s distribution rights to Central Film Partnership—has an interest in regaining some lost financial ground in the country, as well: Its Hunger Games: Mockingjay—Part 1 got clobbered at the Russian box office when the ruble dropped against the dollar. Maybe they’re hoping Child 44 will do for killing children what the Jennifer Lawrence starrer failed to do for killing children.